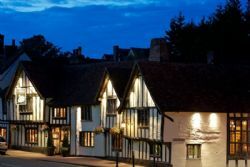 In the heart of the beautiful medieval village of Lavenham, the stunning 15th century Swan Hotel is steeped in centuries of history. 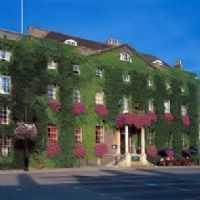 With its picture perfect exterior, luxurious surroundings, oak beamed interiors, open fires and cosy nooks, the hotel brings together a deep sense of history and occasion with the very best in contemporary styling. Combined with the professionalism and efficiency of our friendly and approachable staff, you are guaranteed a warm and welcoming stay at The Swan Hotel. Our 45 perfectly appointed bedrooms have all the little luxuries you would expect from a 4 star Hotel. Lavenham Priory is a "Grade 1 listed" half-timbered house dating from the 13th century. Staying in this historic house provides a unique and unforgettable experience, true luxury at an affordable price. Bedchambers feature braced crown posts, Elizabethan wall paintings and oak floors, with four-poster, lit bateau and polonaise beds. A number of the beds were bespoke made for the bedrooms by a Lavenham cabinetmaker. Lavenham Priory stands in 3 acres of grounds in the centre of the village. Private parking facilities are provided. 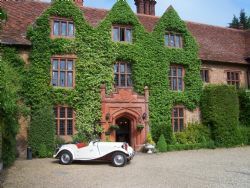 Lavenham Priory has the highest quality grading available of 5 Stars with Gold award given by the English Tourism Council and the Automobile Association for bed and breakfast accommodation. The house has won three important national prizes; the Good Hotels Guide's Csar Award for Historic House of the Year 2012, the 'AA's Guest Accommodation of the Year award' and two awards from the 'Which Hotel's Guide'. It is also described as one of the "Very best places to stay in Great Britain & Ireland" in the Hardens Hotel Guide. 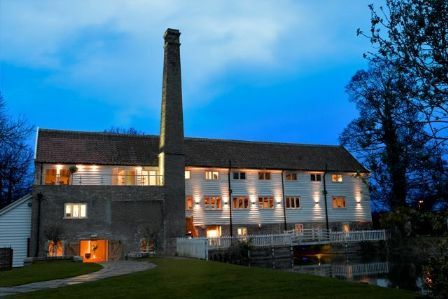 Years of history and the chic yet sympathetic refurbishment of a traditional watermill combine to offer an exceptional experience in the Suffolk countryside. If you're looking for something more than the usual boutique hotel, restaurant or meeting venue, then you may have found it. A unique environment, a genuine passion for great food and wine, the ultimate in bedroom comforts and discreet yet attentive service. Haughley House is a late medieval manor house with later additions, built just outside the outer bailey of the castle (only the foundations and the large moat remain) in the conservation area of the village of Haughley, which is listed by English Heritage as a site of National importance. The house has a priest hole in one of the chimneys and two passages (now sealed off) one of which leads to the church and it is the true centre of the Manor (Manorial Courts are still held) containing the original manorial records dating back to 1321 in the reign of Edward the Second. We also hold the survey book for Mary Tudor when the Manor passed into her ownership in 1554. A warm and friendly welcome is assured for all at The Black Lion, a privately owned village hotel with 10 marvellously comfortable rooms, a passion for great food, much of it regionally sourced, and real ale. Commanding a glorious position overlooking the green in Long Melford, this historic hotel is a wonderful escape from the hustle and bustle of life. Relax in front of a roaring fire and feel like you have come home. 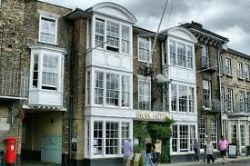 The Suffolk hotel is right in the centre of Bury St Edmunds town centre and everything is just a step from here. Explore winding, cobbled, shop filled streets and a plethora of ancient architecture on the doorstep. Once inside, the Angel Hotel is a curious contrast of comfy contemporary design with touches of exotic grandeur. Warm leather sofas vie for your company in the lounge, which is filled with curiosities, pop art, eccentric oddities and cool vintage furniture. It is a hotel of many different aspects all artfully blended together into an exciting package and the bedrooms are no exception. The restaurant has a great reputation and dining here is a culinary treat. This elegant relaxing Suffolk Georgian Rectory is set in three acres of glorious gardens where the only sounds you will hear are the birds and the occasional chime of the church bell. A modern country house B&B with stunning grounds, beautiful interiors, the very best of local food and an atmosphere of pure relaxation, sink into a chair and enjoy! 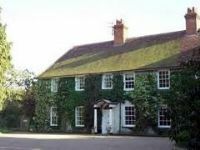 The Old Rectory represents the finest boutique acccomodation in Suffolk. Felmingham Hall is a private Elizabethan Manor House standing in unspoilt countryside in North Norfolk. The subject of a sympathetic restoration over the past ten years it is now available to let as a country retreat, for holidays, special occasions, corporate hospitality and events or as a photographic location. The Hall sleeps 14 guests, and there is additional accommodation for up to 16 in the two period barn conversions within the grounds. You will receive a warm welcome at Seckford Hall, a beautiful Tudor Hotel set amongst 34 acres of private Suffolk countryside. Just outside Woodbridge and close to the Heritage coast. The hotel offers luxurious accommodation, 2 restaurants and leisure and beauty facilities for both business and personal use. Guests can also take advantage of playing golf next door at Seckford Golf Centre. 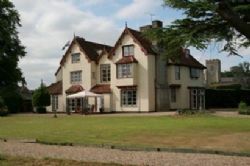 Seckford Hall is also an ideal venue for weddings, conferences and banquets. 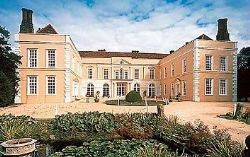 This beautiful hotel with its Elizabethan faade, parkland setting, peace and tranquillity not only offers traditional conference facilities but also is the perfect setting for team building events. Woodhall Manor provides an idyllic setting for your wedding and reception; its versatility makes it the perfect choice for any form of celebration, business meeting, corporate or charity event. Exclusive use of our wonderful country estate is guaranteed for the day. 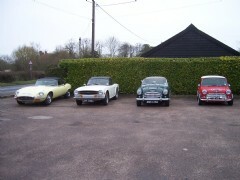 Thank you for your interest in Swallow Barn situated in rural Suffolk. A one bedroom holiday let for 2 people (and children < 24 months), designed for real country lovers and those seeking a much needed retreat from the pressures of daily life. 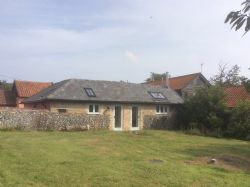 Swallow Barn is an individual, listed barn in the heart of the Suffolk countryside in the village of Wyverstone. We are based approximately 20 mins from the historic town of Bury St Edmunds and Stowmarket with good rail links to London and other major cities. 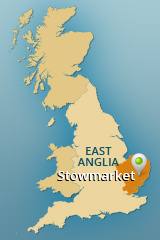 The impressive Suffolk coastline is also only an hour's drive away. There is a village shop and pub a 5 minute drive away or a 15 minute walk. Having stayed at many a holiday let over the years, we know how hard it can be to find decent accommodation that combines a sense of cosiness with practicality. We have therefore tried to include all our favourite things about holiday lets into just one place. Imagine lying in a blissfully comfortable bed whilst looking up at the stars or, sitting in a garden overlooking a peaceful meadow, watching the swallows duck and dive in the summer months, truly magical. Being dog lovers with a history of taking rescues, we have never felt comfortable with leaving them behind when we go on holiday. For this reason we are happy to welcome well behaved canine friends to the barn. The barn comes with its own enclosed garden and guests can also enjoy shared access to our field overlooking the property which is perfect for ball games. We look forward to welcoming you to this special place.